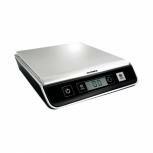 Salter Silver Electronic Parcel Scale 120kg WS120 Pack of 1 Compact parcel scale weighs up to 120kg in 50g increments. Simple operation with 4 functions, on/off, zero, tare and lb/kg. Detached LCD gives added versatility. Hold function. Battery or mains operated. Platform WxDxH: 380x300x27mm. Dymo M2 Mailing Scale 2kg EMEA Black S0928990 Pack of 1 Dymo M2 Mailing Scale. 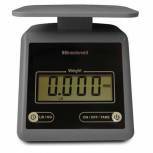 Easy to use digital scale for weighing envelopes and small packages. Tare and hold. Shows weight in lbs/oz and kg/g up to 2kg. Auto shut off to maximize battery life. Operates on 3xAAA batteries (not included). Dymo M5 Mailing Scale 5kg EMEA Black S0929000 Pack of 1 Dymo M5 Mailing Scale. 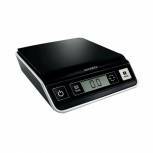 Easy to use digital scale for weighing parcels. Tare and hold. 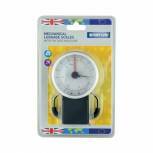 Displays weight in lbs/oz and kg/g (0 lb 00.0 oz / 0 kg 000 g) up to 5kg. Auto shut off to maximize battery life. Powered by USB cable or 3 x AAA batteries (not inc). Dymo M10 Mailing Scale 10kg EMEA Black S0929010 Pack of 1 Dymo M10 Mailing Scale. 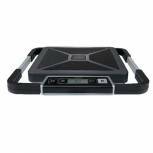 Easy to use digital scale for weighing parcels. Tare and hold. Displays weight in lbs/oz and kg/g (0 lb 00.0 oz / 0 kg 000 g) up to 10kg. Auto shut off to maximize battery life. Powered by USB cable or 3 x AAA batteries (not inc). 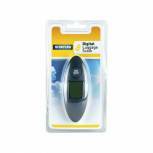 Dymo S50 Shipping Scale 50kg UK Black S0929050 Pack of 1 Dymo S50 Shipping Scale. For weighing packages and boxes up to 50 kg. Platform: 30 x 30 cm. Detachable LCD display. Tare and hold function. Shows weight in lbs/oz and kg/g. Auto shut off. Powered by USB cable or AC adapter. 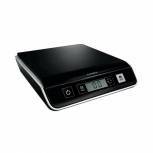 Dymo S100 Shipping Scale 100kg Black S0929060 Pack of 1 Dymo S100 Shipping Scale 100kg Black S0929060. USB connection and detachable LCD digital display. Tare and hold functions. Automatic shut off to save energy. Wraparound handle for easy transportation. 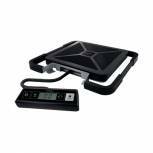 Dymo S180 Shipping Scale 180kg Black S0929070 Pack of 1 Dymo S180 Shipping Scale 180kg Black S0929070. USB connection and detachable LCD digital display. Tare and hold functions. Automatic shut off to save energy. Wraparound handle for easy transportation. 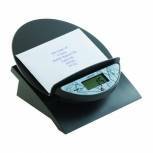 Alba 1kg Electronic Postal Scale PREPOP-G Pack of 1 Postal scale with a angled tray allows a clear view of the display. Large display is easy to read. Weighs up to 1 kilo in 1 g increments. Sticker of up to date postal rates is available from the website. Charcoal. Salter Grey Compact Postal Scale (upto 3.2kg) PS7 Pack of 1 Salter Electronic Postal Scale Rugged ABS plastic construction. 7 segment LCD display. 3. 2kg (7lb) capacity. Platform dimensions: W133 x D143mm. Units of measure: g, lb, lb/oz. Uses 2 x AAA batteries (supplied). 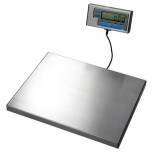 Salter Electronic Parcel Scale 60 kg X20Gms WS60 Pack of 1 Compact parcel scale weighs up to 60kg in 20g increments. Simple operation with 4 functions, on/off, zero, tare and lb/kg. Detached LCD gives added versatility. Hold function. Battery or mains operated. Platform WxDxH: 380x300x27mm.